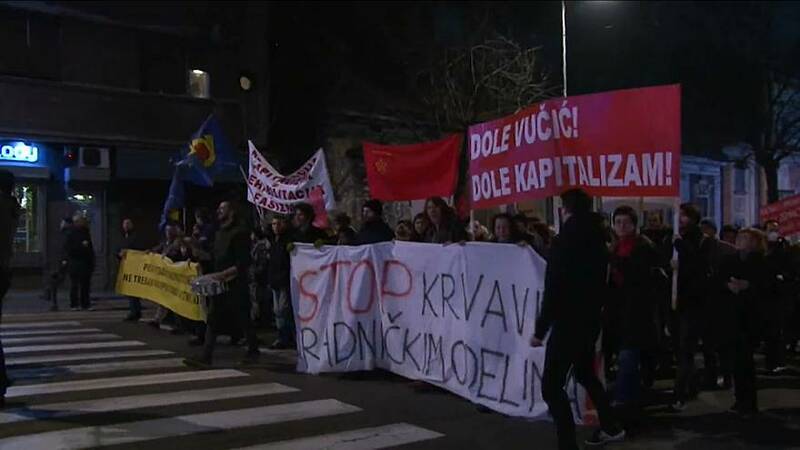 One of the organisers, Jelena Anasonovic, explained why she was there: "We hope that this situation in Serbia, this raising violence as a ruling method of our Serbian Progressive Party will change," she said. "The regime has become very nervous since the protests began," Political Analyst, Jovo Bakic told euronews. "The regime is about to understand that it can not do everything that it wants to do and this clear message is the most important legacy of these protests." Euronews reporter in Belgrade, Jorgen Samso, explains: "President Vucic has said that he is willing to meet with and hear from citizens who are not satisfied with the way he rules Serbia. "On the other hand he has also said he will a not give in to blackmail from the opposition. So, a political deadlock as protests are continuing and spreading across the country."